For their first pictures as an engaged couple, William and Kate posed in the State Apartments of St. James Palace. Since the first day Prince Harry and Meghan Markle made their relationship official, people were comparing them to another royal couple – Harry's older brother, Prince William, and his wife, Kate Middleton. And today, we are going to dig deeper into one of the most exciting moments in the lives of these two loving couples – their engagements. Meghan Markle and Prince Harry have already broken a couple of royal rules. Even their engagement portraits did not exactly fall in line with the royal protocol. Their portraits were vivid and full of emotions. And people could not miss Meghan's choice of a dress for the occasion: a red carpet-style gown by Ralf & Russo with a semi-sheer top. While Kate and William's official portraits also shown the love the two felt for each other, they were more formal. Kate's outfit was more modest and appropriate for a future royal: a beautiful but conservative white dress by Reiss. And the pose they chose for the next shot was a bit more polite than the emotional scene of Harry holding Meghan tightly in his hands, although the resemblance between the two pictures cannot be missed. 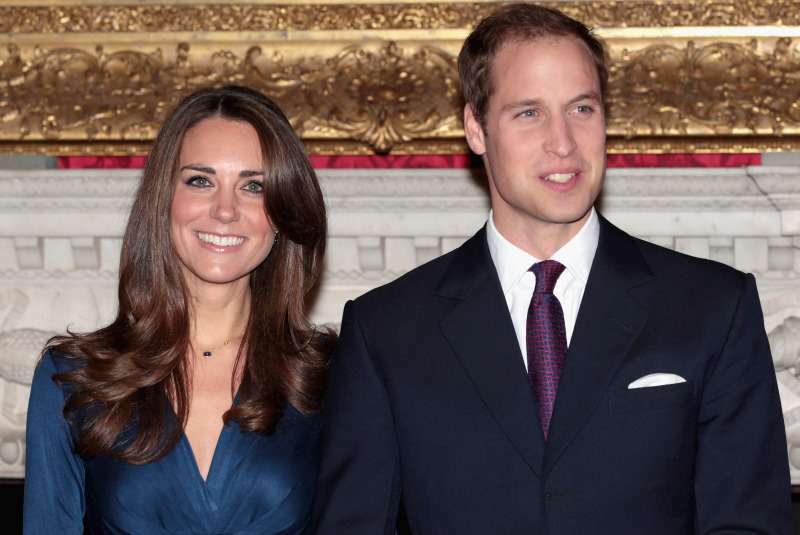 Prince William and Kate Middleton announced their engagement back in 2010. William gave his beloved woman a ring that belonged to his mother, Princess Diana of Wales. The engagement of Prince Harry was announced by Clarence House on November 27, 2017. The very first pictures of Meghan and Harry as a soon-to-be-wed couple were taken in the Sunken Garden at Kensington Palace. Meghan looked quite different to her Hollywood-self: dressed in a classy dark-green dress by Parosh, a pair of Aquazzura's crisscross pumps, and a gorgeous white coat by LINE. The main focus, however, was turned to the ring Prince Harry proposed her with: a one of a kind ring by Cleave and Company, encrusted with Princess Diana's diamonds. After posing for photos, the happy couple gave a short interview, sharing some precious moments of their love story. The royal family knows how to do romance and their photos are even sweeter than you'd expect. Wishing them a lifetime of love and happiness!